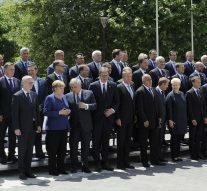 Last week in Sofia, Bulgarian Prime Minister Boyko Borissov, which currently holds the Presidency of the EU Council, hosted the meeting between the European Union and the Western Balkans Countries (Albania, Bosnia–Herzegovina, Kosovo, Montenegro, Serbia and the Former Yugoslav Republic of Macedonia). The EU institutions were represented by the President of the European Council, Donald Tusk, the President of the European Commission Jean-Claude Juncker, the President of the European Parliament, Antonio Tajani, the EU High Representative of the Union for Foreign Affairs and Security Policy/Vice–President of the Commission, Federica Mogherini, and the Commissioner for European Neighbourhood Policy and Enlargement Negotiations Johannes Hahn. Many topics were supposed to be discussed: the enlargement of the European Union towards the Western Balkans Countries through «the effective implementation of democracy and the rule of law, especially the fight against corruption and organised crime… the respect for human rights and rights of persons belonging to minorities. [Another issue was the efforts to] strength good neighbourly relations, regional stability and mutual cooperation. This includes in particular finding and implementing definitive, inclusive and binding solutions for their bilateral disputes rooted in the legacy of the past and devoting additional efforts to reconciliation. [On this matter, beside the main event, there was a bilateral meeting between Macedonian Prime Minister Zoran Zaev and his Greek counterpart, Prime Minister Alexis Tsipras, about their long-standing bilateral name dispute, to reach a compromise solution to unlock Macedonia’s accession to NATO and the EU. Moreover,] many security challenges that demand coordinated individual and collective action [like] illegal migration flows, [terrorism and the foreign fighters issue]». Beyond declarations about strengthening cooperation on migration through a more close cooperation, letting work more closely EU officials of FRONTEX and other EU agencies with their Western Balkans Countries counterparts, not so much was said about this matter in Sofia; important steps were recently made far from EU borders: the 27th of February the Council approved extra €3.7 billion to address migration issues that will be distributed by the European Investments Bank. Moreover, the same day of the meeting in Sofia, the 17th of May, the Court of Auditors (settled in Luxembourg) «identif[ied] challenges to integration of migrants in EU»; most of them are problems that should be fixed to let work properly the migration policy and the related issue of the integration. The Court highlighted main areas like delays, lack of commitment, lack of monitoring, complexity and others that underline how much work has to be done and that these tools need a huge work to be improved. Maybe this could be the reason why EU and national leaders are still proceeding in a low profile without specific side meetings and declarations.